« Law Review: Law in Action BBC Radio 4 on Assange/EAWs/Tweeting from court – excellent. Welcome to the first in a series of 20 podcasts on the legal profession in 2011. I’m going to look at the changing legal landscape in the light of the impact of The Legal Services Act and current trading conditions through the eyes of practitioners at the bar and from law firms large and small , commentators and regulators. Today I am talking to The Naked Lawyer… or, to be more accurate, Chrissie Lightfoot, a non-practising solicitor and author of The Naked Lawyer…… a great woman to do business with” – according to Jules Wyman., recently voted Britain’s top woman coach and owner of Positive Belief. To give you a flavour of The Naked Lawyer… a few quotes from the many reviews Chrissie has received…. Steve Kuncewicz. Intellectual Property, Media & Entertainment Lawyer. UK. Jim Diamond. Costs Lawyer. UK. I found this very interesting, in particular because social media has played a fundamental role in introducing me to the world of Law. Now in my thirties I have an ever increasing interest in a world I knew precious little about previously. 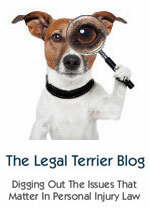 I was introduced via blogs such as this and Jack of Kent, and am in the process of finding out what sort of careers in Law may be open to me after study. It was never discussed as an option for study, let alone career when I was at school.